Well the 2017 Festival is over – and what a Festival it was! Far and away the best ever with a superb line up, appreciative audiences, great venues and the sun chose to shine on us all weekend. Our thanks to all committee, supporters, venues, artists, sponsors and everyone else who contributed to this year’s success. 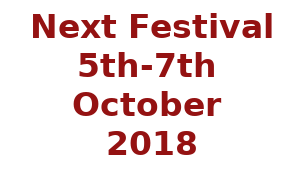 So, whilst the committee gets on with the job of tying up all the loose ends left after each Festival, we are also already planning for next year’s Festival and other events. Our Annual Treasure Hunt has become a popular event in the Harwich calendar and this year takes place on Friday 29th December starting at mid-day at the Alma. Come and follow a set of cryptic clues taking you around the old town of Harwich. There are picture clues for youngsters and so this is a true family event. Prizes awarded for the winners and there is stiff competition nowadays to gain the sought after trophy! (Although the runners up prizes are probably more useful). 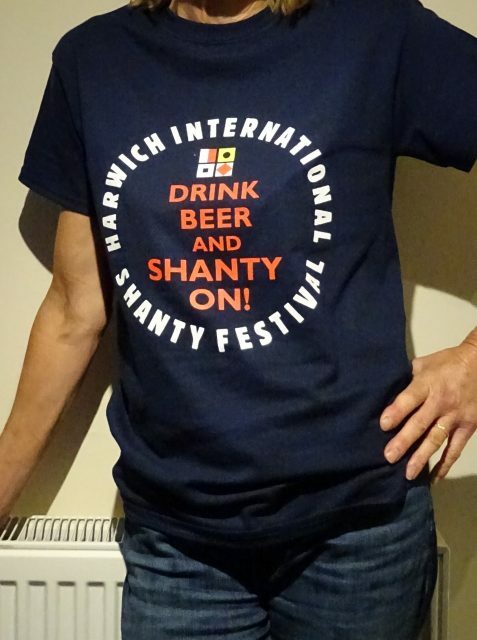 And talking of prizes, we ran a Harwich Quiz in the Shanty Programme this year. We are pleased to announce that the winners are Bev & Tony Earey from Colchester and their prize of a Ship in a Bottle has been dispatched to them. We have a few items of merchandise left after the festival weekend, although many items did sell out. However there are still a few 2017 T.Shirts left at £10 + £2.00 p&p and just in time for your Christmas gifts, a few calendars at £8.00 + £1.50 p&p. Please email info@harwichshantyfestival.co.uk for more details and to order. Meanwhile take a look at our channel on You Tube for some entertaining clips from 2017 and check out the website and Facebook for more photos and updated information. We have a few items of merchandise left after the festival weekend, although many items did sell out. 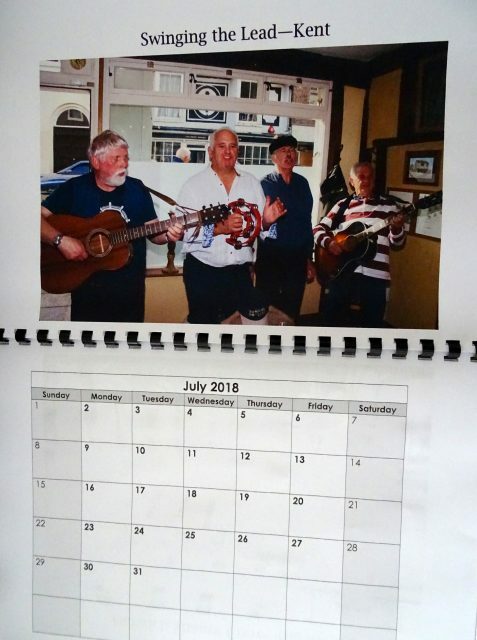 However there are still a few 2017 T.Shirts left at £10 +£2.00 p&p and just in time for your Christmas gifts, a few calendars at £8.00 + £1.50 p&p. Our Annual Treasure Hunt has become a popular event in the Harwich calendar and this year takes place on Friday 29th December starting at mid-day at the Alma. Come and follow a set of cryptic clues taking you around the old town of Harwich. There are picture clues for youngsters and so this is a true family event.